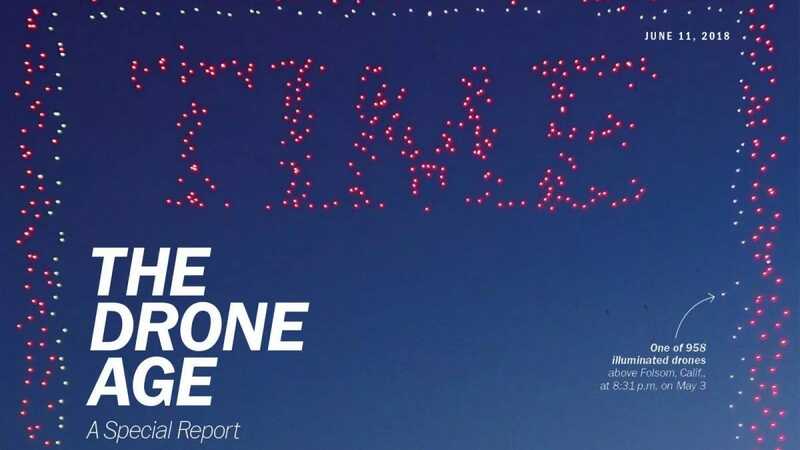 For the upcoming June 11, 2018 issue, TIME magazine created a pretty spectacular display: 958 illuminated drones framed against the night sky to mimic the traditional layout of a TIME cover. Here’s a video showing how it was done. For more information about the process including details of the setup in photo and text form, check out the full write up of the event here. Source: Time via Boing Boing.